Episode Summary: Power is an intrinsic need we all have from day one! When it comes to adult-child relationships, power struggles are consistently at the top of the list. We all know that kids need limits and structure to grow into responsible adults, but there is also an equally strong need for autonomy, power, and control. So what is an adult to do? Parenting expert, Tammy Cox talks about the importance of teaching children self-control, something they cannot learn if an adult is doing that for them. She shares examples of the cost of trying to control kids, and understands the pressure parents feel to so. Ms. Cox also offers suggestions for separating “our lives” from “their lives,” for building decision-making skills and self-management, for influencing the choices kids make, and for building the type of relationships with kids that encourages cooperation, trust, and respect. Right-click on this link to download a copy of this mp3 file to your hard drive, or click on the bar below to listen. Program Notes: Click here for a PDF handout with information and a list of resources related to this topic. Tammy Cox, LMSW, received her Master’s Degree in Social Work from the University of Texas and brings more than 25 years’ experience to her profession. 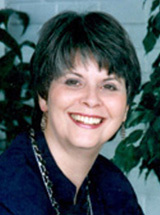 Since 1988 she has been the owner and director of The Redirection Connection. She is an instructor and instructor trainer for the International Network for Children and Families and was a nationally certified instructor for Global Relationship Centers, Inc. She has served as consultant to schools, day care centers, special groups, and professionals in the medical and legal arenas, guest trainer for various agencies and organizations and is a professional coach for individuals, couples, and families. She has also written articles and regular columns for several publications and is a professional speaker. This program was recorded on February 14, 2013. Subscribe to Spectrum Podcasts on iTunes for easy access to all Spectrum Podcast shows. Spectrum Podcasts are brought to you by Father Sky Media, a divsion of Instructional Support Services, Inc. These programs are sponsored by EnergizeStudents.org. Be a Spectrum Podcast Guest: If you have an area of expertise and passion that would appeal to the listeners of this series and would like to be a guest on our show, click here for more information about the project.